Chipper stool seeks derrières for at home enjoyment or café canoodling. Available in seven finishes: aqua, black, grey green, natural yellow, simple blue, off-white and watermelon. Stackable and suitable for use indoors or out. 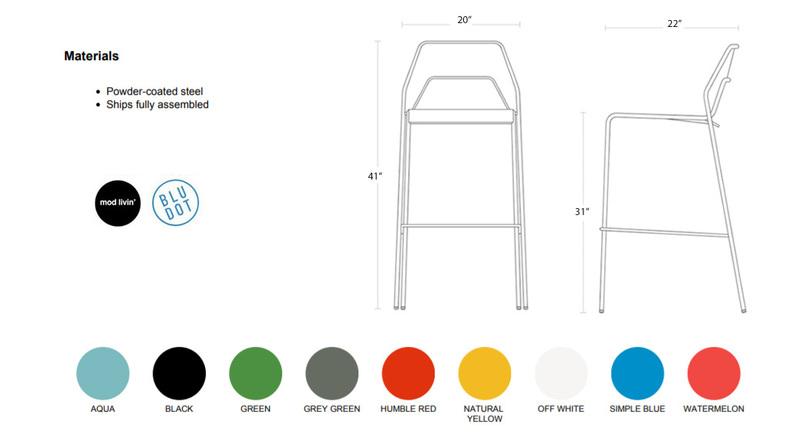 Also available as a chair or counterstool.